Iain McKinnon provides expert inclusive design advice and solutions. 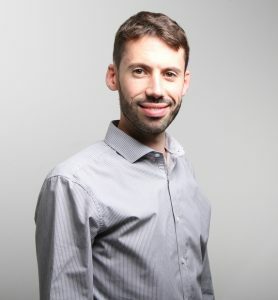 A trained Product Design Engineer (Industrial Design and Mechanical Engineering), Iain has developed a specialism in Inclusive Design since early 2005. Iain has experience providing inclusive design advice on a wide range of projects ranging from complex and large masterplans, buildings and products to the operational aspects of venue management and live events. With a passion for good, functional design that is attractive and works well for all users, Iain enjoys working with people from different backgrounds and bringing good ideas to life. Whether handheld, interactive products or the urban environment (buildings and public realm space) Iain takes a pragmatic approach, considering the needs of all potential end users including; disabled people, older people and people from different faiths and cultural backgrounds. In a diverse environment and with an aging population, good inclusive design has never been so important. Iain provides inclusive and accessible solutions that ultimately benefit all of us throughout our lives.